Editor's note: Although the mentally ill people in this report are identified in public records, WCPO has decided to shield their identity because revealing their names could exacerbate the mental health problems that brought them to the attention of law enforcement. HAMILTON, Ohio - When the suicidal man dropped his knife, Hamilton police officers zapped him twice with stun guns. “You’re not under arrest, OK? We just had to do that ‘cause I didn’t want to shoot you,” Officer Robert Bernhardt told the 38-year-old man after the incident. It’s a scenario that has played out in our region dozens of times in the last three years: Desperate people in mental distress find themselves confronted by law enforcement. From Hamilton to Florence, police use of force records show officers are frequently the first responders for patients suffering a mental health crisis. "When people are in crisis and they're feeling that hopeless, that's really dangerous,” said Liz Atwell, executive director of Mental Health America of Northern Kentucky & Southwest Ohio. “It's dangerous for the individual and it's dangerous for the people living with them. It's dangerous for the officers who are responding." Atwell’s Covington-based agency provides crisis intervention training to police officers throughout the region, with the goal of improving responses to mental-health emergencies. It’s a national dilemma, with studies suggesting that one percent of all police dispatches involve people with mental disorders and one in four people with mental disorders have histories of police arrest. The Treatment Advocacy Center estimated in 2015 that people with untreated serious mental illness are 16 times more likely than the rest of the population to be killed in a police encounter. Here in the Tri-State, mental health was documented as a factor in 361 use of force incidents since 2015. That’s about 14 percent of the 2,502 incidents that the I-Team has been analyzing in “ Forcing the Peace ,” a series of reports on how 32 local police departments regulate the use of force by more than 2,300 officers. WCPO’s analysis of mental health-related incidents shows people are less likely to be injured, compared to cases in which mental health is not a factor. Police are also less likely to file criminal charges in mental-health cases and they’re more likely to use stun guns as a means of resolving such incidents. Because the man was still standing next to the knife, Bernhardt told a fellow officer to fire a second time. The man fell to the ground and was handcuffed. 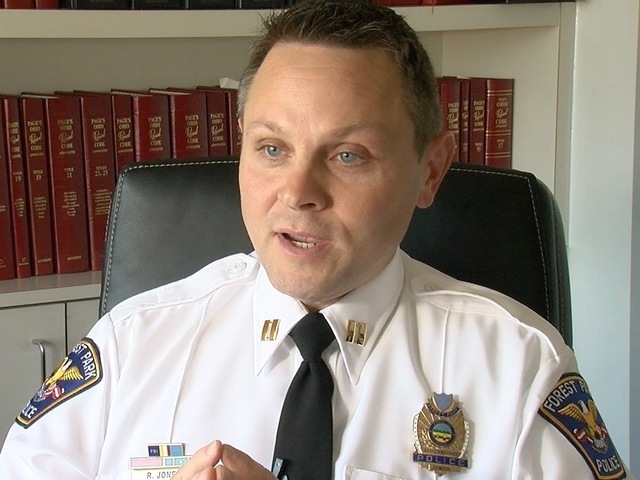 A supervisor reviewed the incident that night, writing that it “complies with departmental policy.” Hamilton Police Chief Craig Bucheit signed off on that assessment Feb. 5. "We've made a lot of effort to work with our officers on mental health calls," said Hamilton Police Sgt. Brian Robinson. "This is a textbook example of how we like to see our officers react." After watching video of the incident, Atwell declined to offer an opinion about whether officers were right to use stun guns because she was “not in the room and I’m not privy to all of the information.” But she noted that the situation could have ended worse and praised Bernhardt for explaining that he was trying to help. Forest Park Police handled a similar incident without the use of stun guns in May, when a 30-year-old man called 911 threatening suicide. He ended up surrendering at gunpoint with officers ordering him to drop the knife at his neck. Forest Park’s Assistant Police Chief, Captain Rick Jones, said Hall was justified in pointing a gun at the suicidal man because they were unable to engage him in conversation from behind his closed bedroom door and didn’t know what weapons he had access to. Gratitude is often not the response police receive when dealing with people in a mental health crisis. One man still doesn’t understand why police used two “hammer fist strikes” to subdue him on Jan. 28, 2018. He told the I-Team he was not using crack. He said he suffers from schizophrenia and was “on the borderline” of an acute episode that day. 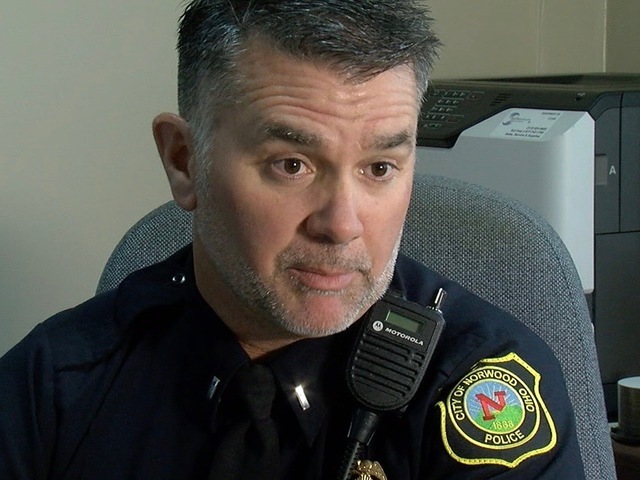 Norwood Police Sgt. David Lewis deemed the use of force appropriate in a three-page review of the incident that cited drug use as an important factor. Lt. Murphy told WCPO officers didn’t know about his schizophrenia, but he’s not sure it would have changed how they responded to him. 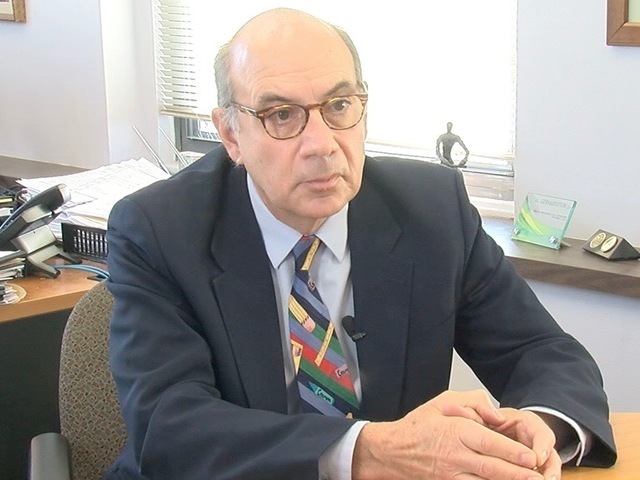 The lack of information is a problem that area law enforcement agencies are trying to address with Stepping Up, a three-year-old national initiative aimed at reducing the estimated 2 million people with mental illness who are booked into jails every year. The goal is to increase partnerships between law enforcement and mental health professionals. Gerhardstein said the outcome might have been different for James Clay if police had known he was mentally ill when they attempted to serve a felony warrant on the 20-year-old Walnut Hills man in August. Police said Clay was shot after he pulled out a pellet gun and charged at Officer Ronald Schultz. Clay was killed. Schultz was injured. That’s a team with specially trained officers who learn how to defuse tensions with verbal communication instead of pointing or using weapons. Even in cases where best practices are followed, interactions between police and the mentally ill can end in ways that are deeply troublesome to all involved. Tonight at 11, I-Team Chief Investigative Reporter Craig Cheatham will examine a Cincinnati incident that a mother described this way: "It was like a horror movie unfolding all of a sudden."